The story is that, when Cormac McCarthy was beginning his writing career, he was advised by a professor of English Literature not to use speech marks or speech attribution – ie ‘Go away,’ Joe said. If that professor is still alive and you come across him I’d be grateful if you’d do me a favour. Ask him to remove his glasses and give him a right good poke in the eye for me. This stylistic quirk works in this book most of the time (with good dialogue you can often tell who is speaking without attribution) but, occasionally, you get confused as to who is speaking and whether or not it is speech or the character thinking. To my mind, the use of speech marks/attribution is simply good manners on the part of the author. When it is in the form of ‘Joe said’ and it is broken up with the subject’s thoughts and reactions you don’t notice it. Anyway, now that I’ve got that out of the way. I read this book after seeing the film twice – and loving it. The plot is simple. Llewelyn Moss stumbles upon a drug deal in the desert that has gone horribly wrong. Bodies and bullet-riddled 4x4s everywhere. Packages of herion, a caseload of cash. This is Moss’s chance. 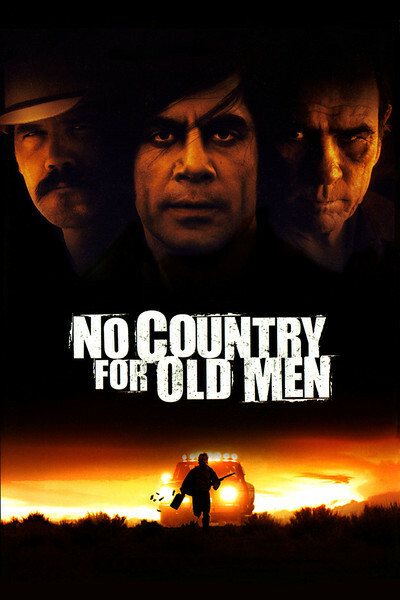 He takes the money and goes on the run, pursued by Chigurh, a mob hit-man, and a soon-to-retire sheriff. Even though I was familiar with the plot and the characters, I enjoyed the book and read it at a fair lick. McCarthy is terrific at setting scenes, defining character with a few deft brush-strokes and pacing a thriller. There were a few things that irritated me, however, apart from the lack of speech marks/ attribution. Overuse of the word ‘and’. Too many passages went like this: ‘and he sat down and tucked into his breakfast and ate a tortilla and drank some coffee and wiped his mouth…’ I must say that here it works in action scenes but when overused it grates. Chigurh is a nasty piece of work. Trouble is, he’s not human. He’s like a Terminator-style robot programmed to kill. Throughout the book there are italicised passages which set out the sheriff’s thoughts. In the first, he thinks ‘somewhere out there is a true and living prophet of destruction’. Maybe this is what Chigurh is meant to be, but I would have liked a little background and characterisation – even if it is at the level of Alan Rickman’s badass Sheriff of Nottingham who whispers in a victim’s ear as the knife goes in: ‘I had a terrible childhood, you know – I’ll tell you about it some time’. And, finally, the ending. I hate authors messing me around. If I’m rooting for the protagonist and he gets shot (along with his wife) well before the end, with the rest of the book given to philosophising by the about-to-retire sheriff on how everything in America is going to hell in a handbasket (to be fair, he’s probably right), then I’m being messed around. I don’t like it. I don’t necessarily want the protagonist to win but I want a climax at the end. Got that? The film actually improves on the book by putting the climax much closer to the end. But there is another inconsistency in the book. After the executions we have a key scene in which Chigurh is driving down the road and another vehicle crashes into him. The scene is related from the point of view of an omniscient narrator who gives details of the other vehicle and its driver that Chigurh couldn’t possibly know. Who is speaking here? The author? God? He hasn’t piped up before so I don’t think it is a postmodernist thing. In the film the scene is a simple car crash seen from Chigurh’s point of view. Much better. So, to conclude. A really good snappy read but with some inconsistencies and irritating stylistic quirks.